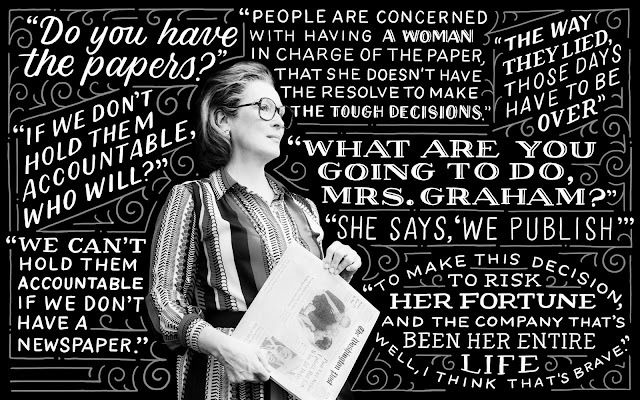 Spielberg's rendition of the anti-press climate during the Nixon administration and the coming-of-age of Katherine Graham as a leader and publisher is nothing less than inspiring. It is by turns subtle and in-your-face, but it is always on point. The story unfolds with suspense, despite knowing exactly what will happen, and the characters evolve before our eyes, with us rooting for them along the way. 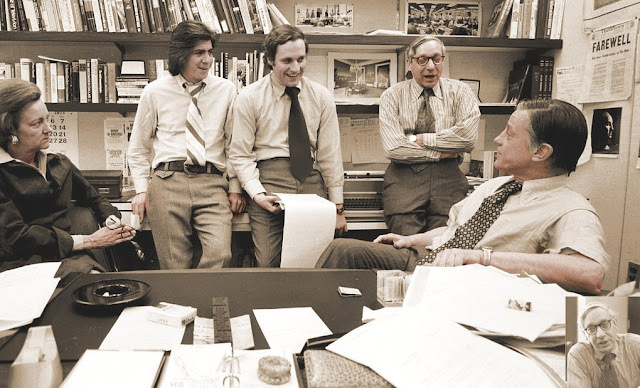 This is, in so many ways, the real story of not only The Washington Post, but of journalism in the post-war United States, during a hostile and authoritarian administration that thought anyone who didn't fight dirty wasn't really trying. The tale of Watergate and how it rocked a nation is not possible without this story and the personal development of Graham. She is a hero of leadership and of journalism, and hats off to Ben Bradlee who stood by her and cheered her on from her corner, without needing to eclipse her. This is a portrait of The Resistance.